Oh come on! I was doing so well last week and then this happens. Don’t they know I have goals to attain. 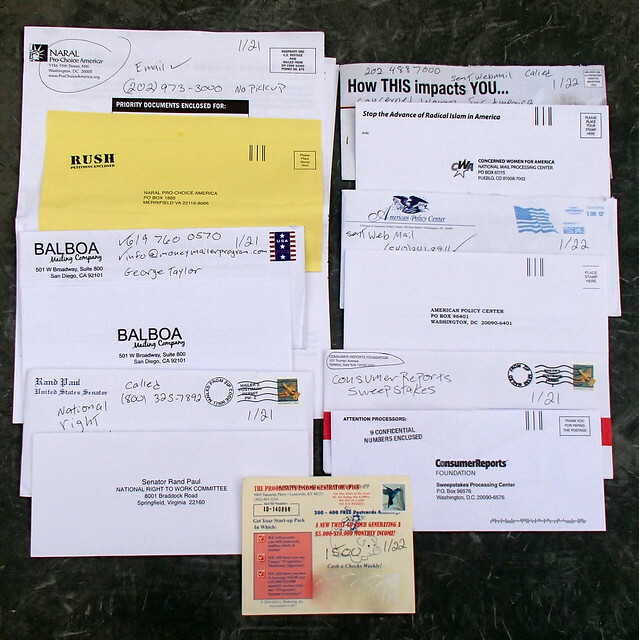 The stack of DMA complaints I sent in have been processed. I know this, because people who ignored me a few weeks ago, have sent simpering mea culpa emails, saying I am off their mailing lists. I also got linked from Reddit. In some ways they are the start of the internet. A lot of your favorite memes get their start there. NARAL Pro-Choice America, Wiki page, Open Secrets page Opt-out here. They also use Public Interest Communications for telemarketing. Concerned Women for America, Wiki page, Charity Navigator page 1 star. Opt-out here and call (202) 488-7000. They also use InfoCision call them at (330)668-1400 and email them at infocis@infocision.com. Consumer Reports Foundation Sweepstakes. Wiki page Call (800) 666-5261 It makes me very sad to see a well respected organization like Consumer Reports sending out unsolicited sweepstakes. 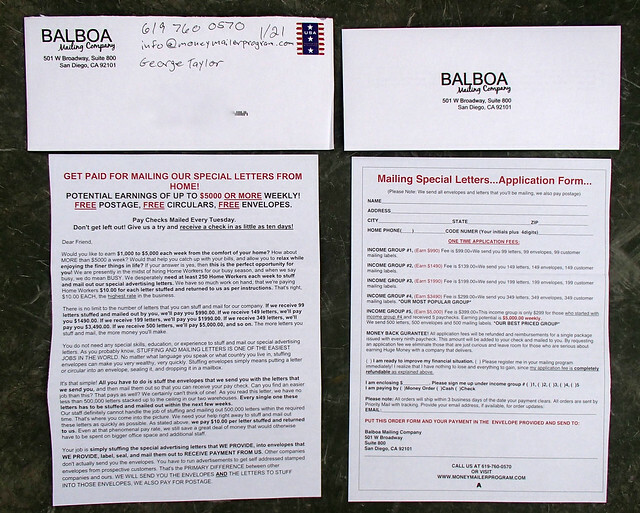 Balboa Mailing Company 501 W Broadway Ste 800 San Diego CA 92101. I emailed them at info@moneymailerprogram.com no reply. I called (619) 760-0570 and it was just a pre-recorded message about how great their program is. A form 1500 it is then. 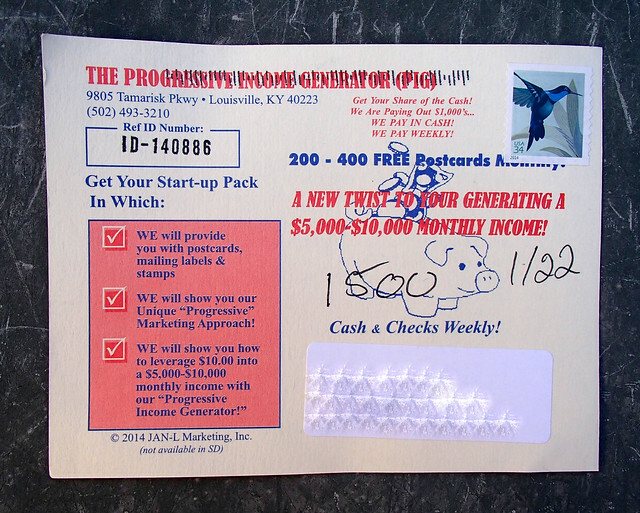 The Progressive Income Generator JAN-L Marketing Inc 9805 Tamarisk Louisville KY 40223 (502) 493-3210. They will also get a form 1500. I am Tom DeWeese from the American Poliyc Center. 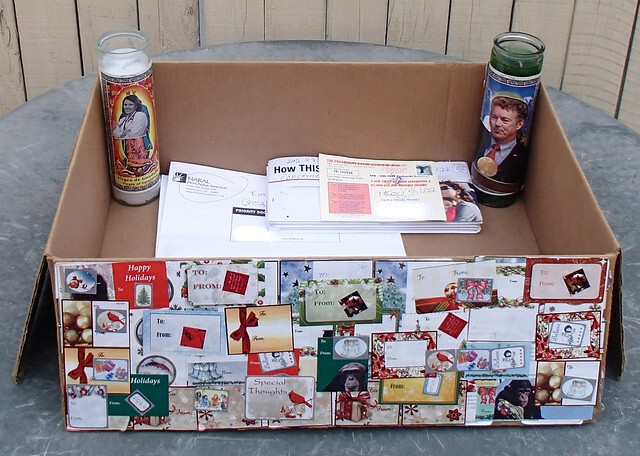 I assure you we have no interest in sending mail to anyone who does not want to receive it. When we get a request to remove a name we act on it immediately. 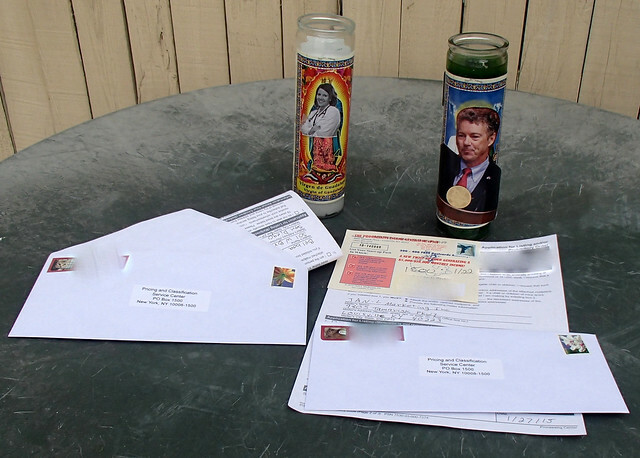 Send me you name and address and you will not be bothered by us again. Thanks for your comment Tom. I have already contacted American Policy Center to be removed from your mailing list. I am Dawn Nelson from Consumer Reports. We do NOT mail to outside lists. 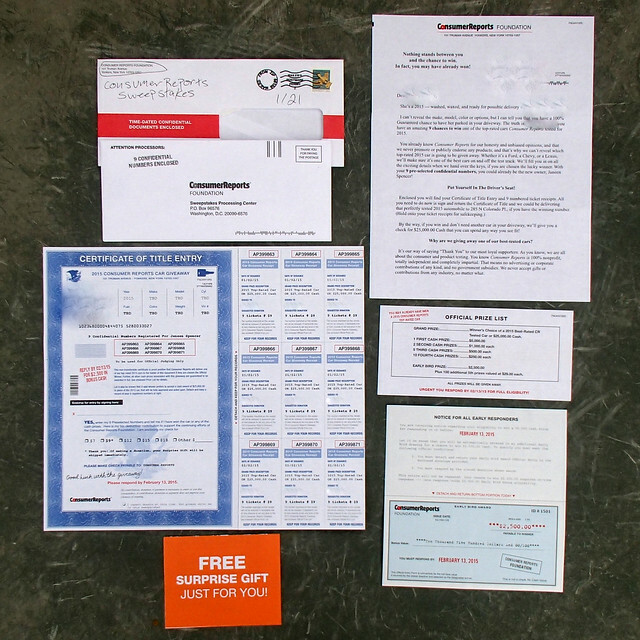 Sweepstakes mailings are sent to some of Consumer Reports’ donors and to some current or former subscribers who we are asking to become donors to support our work. 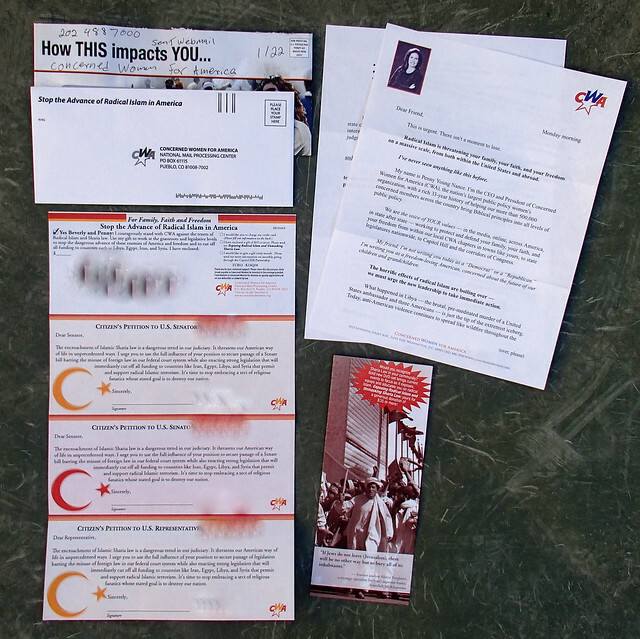 Recipients of the mailings can enter without donating. Additionally, they may ask to be removed from our mailing list altogether OR they can ask to not receive sweepstakes mailings in the future. 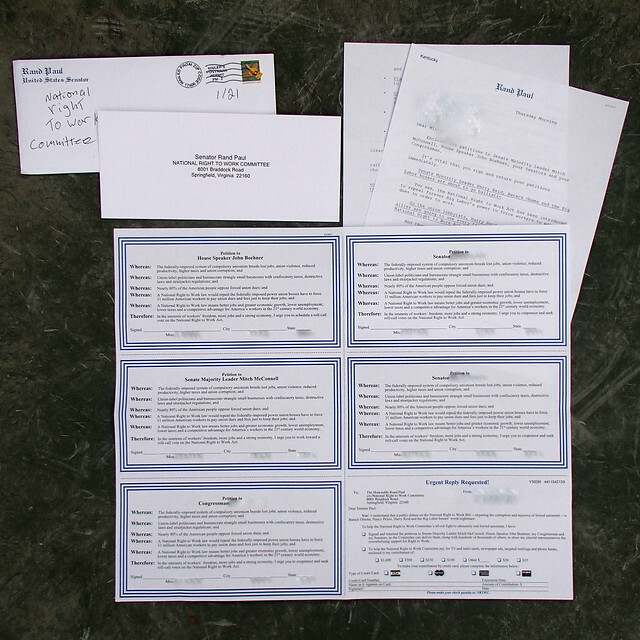 We note our Mail Preference Service on every mailing. It is, http://www.ConsumerReports.org/fundraising. 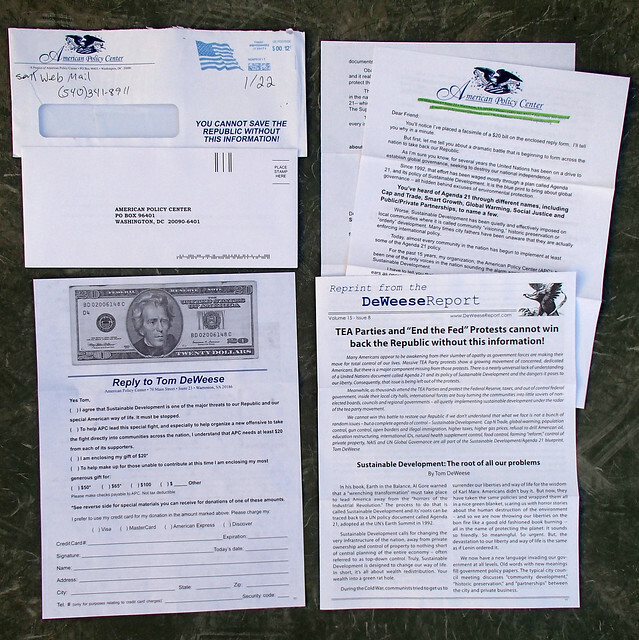 Many, many people participate in our sweepstakes and are happy to do so, but if you do not want these mailings, please visit the site and opt out of these mailings. This woman hasn’t subscribed to Consumer Reports for years. 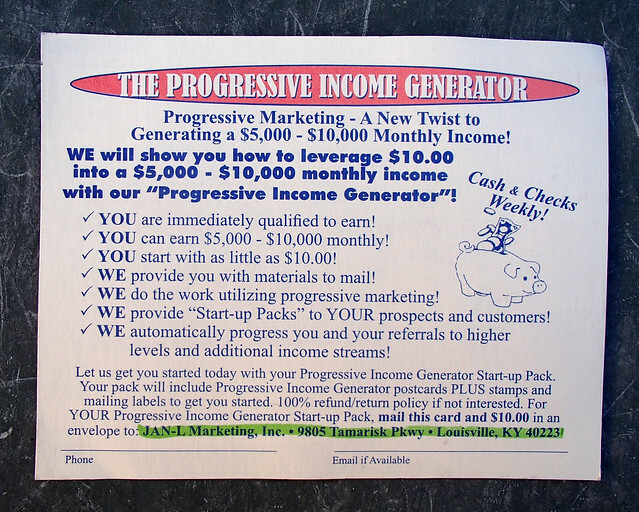 How deep into your files do you go to pull out people to send junk mail to? It is well known that sweepstakes target a more vulnerable group of people. Mostly the elderly and the poor. It is also well known that these people do not understand that they do not have to buy anything to enter and/or win the prize. Please read my post on Specialized Fundraising. 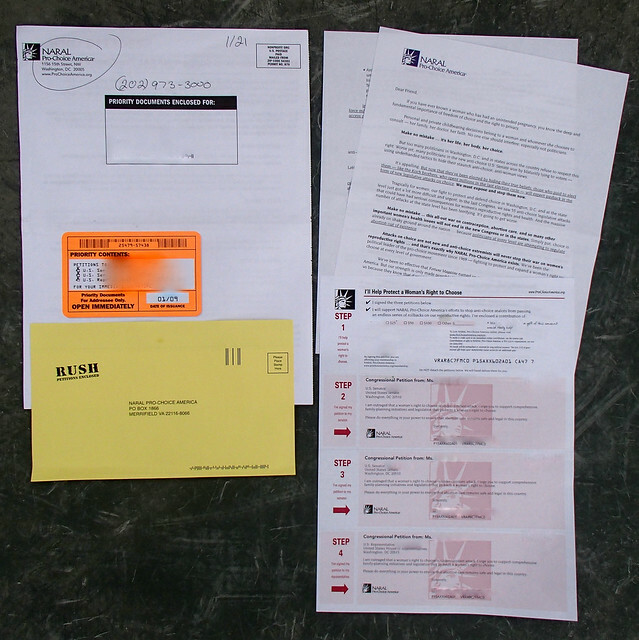 At the bottom of that post I talk about “How the Deceptive Mail Prevention and Enforcement Act of 1999 came to be”. I have linked to testimony of people who were victims of sweepstakes. By putting out a sweepstakes Consumer Reports puts themselves in the same group as everyone mentioned in that post. I feel that mailings like this devalue the Consumer Reports brand, and make me question if Consumer Reports is honest themselves when picking products to evaluate, and how they evaluate them.